For the last day of the Easter Holidays we chose to go to the Green Dragon Eco Farm. Blake and I had been with a friend a few years back however I knew as he is older he would enjoy it more. The barns were a hit with Blake he really enjoyed looking at the animals. We brought a bag of feed at reception for 50p to feed the sheep, goats and pigs which Blake wasn't that interested in being involved in yet. We did go back to the barn a bit later so we could involve Blake with feeding the lambs a bottle of milk. 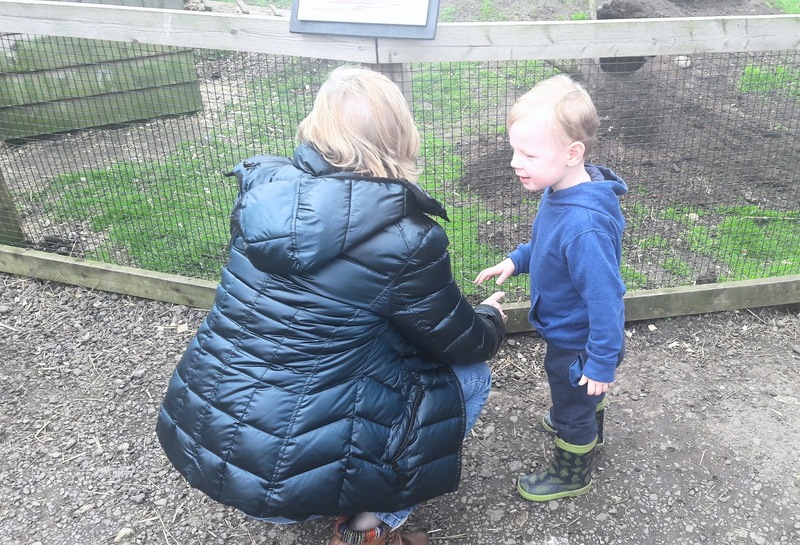 There is also a smaller area outside too where you can see rabbits and guinea pigs and there are certain times where you have the chance to stroke them. We didn't get a chance to see the other animals timewise however we would love to go again as an all day trip rather than a few hours. The farm has two different places to eat the first is the restaurant and then the cafe which we ate in. 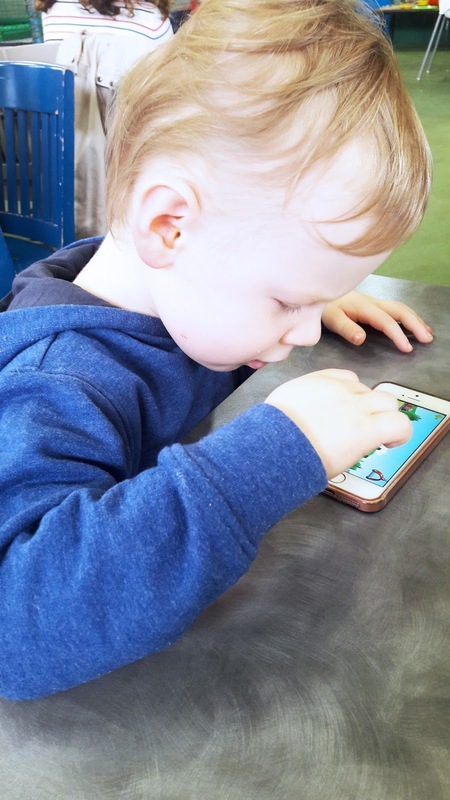 The cafe has a lovely soft play area which Blake decided to have a brief play in before deciding to play a game on Granny's IPhone while we waited for our lunch. The cafe has some great food choices Stuart and I decided to go for a lamb burger with fries which was delicious. My mother in law went for soup and her husband went for a beef burger which looked delicous. Blake had chips, beans and a fish goujon which also looked yummy, admittedly our fussy eater only ate the chips and beans. The prices didn't look too bad either if you look at what you would normally pay for lunch on a day out like this. As well as the soft play in the cafe there are also some other play areas too. There is another indoor play area we didn't have a chance to check out and then there is the outdoor play area that Blake loved. The soft play area in the cafe is small but ideal for entertaining the children while waiting for their food. With slides and ball pits as well as other fun soft play apparatus they will at least be entertained for a short period of time. 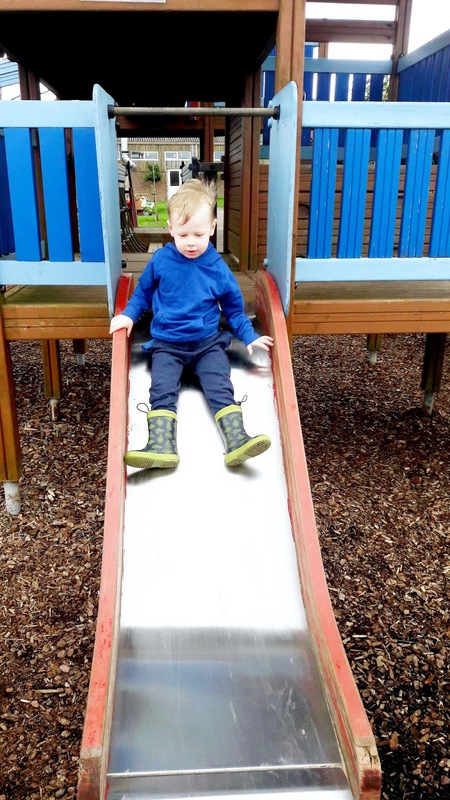 The adventure playground has a wide range of different sized slides and climbing apparatus suitable for all ages ( from what I could see). As Blake loves being outdoors this was definitely a popular choice with him as he kept wanting to go back. Overall Green Dragon Eco Farm is a great place to enjoy a full day out. With loads of play equipment, animals and open spaces there is more than enough to keep children occupied. We definitely want to be visiting again soon. It looks and sounds like a great fun, family day out. Those piglets are very cute. These places can get quite expensive so it is always good when the food is reasonably priced. This looks like such a cute place to go and the perfect way to spend the last day of the holidays. my daughter loves places like this - being able to get up close to the familys plus a soft play is definitely a winning combination! What amazing pictures. 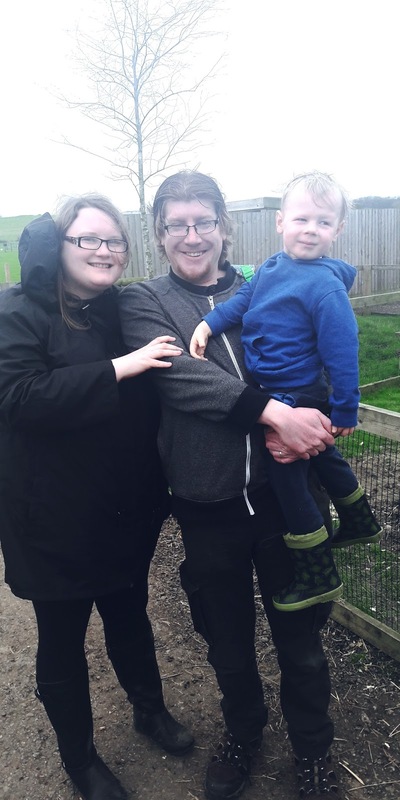 Looks like a fantastic time was had by all at the farm! Oh this looks like such a fun day! My kids love going for a trip out to the farm! oh it is so magical at this time of year with all the chicks and piglets - they look so cute! Sounds like a great farm. We had something similar bear to us in South Wales and my son loved it. Unfortunately they don't have anything like it in Portugal. Looks like you had a great day out! 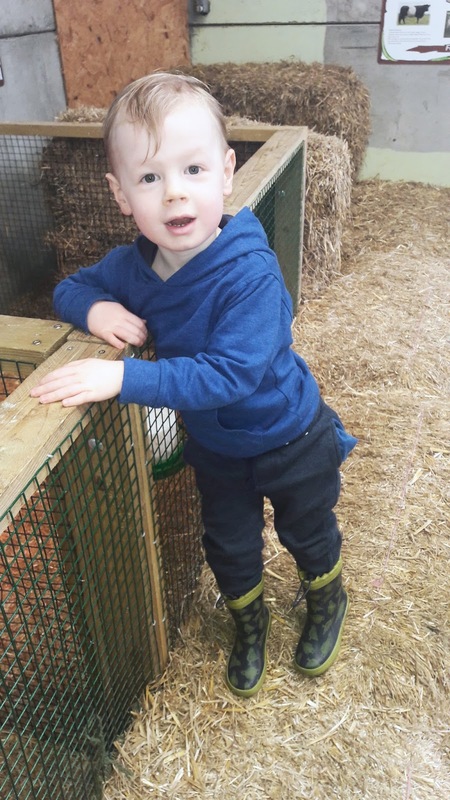 We have a city farm near us in Edinburgh, and the boys love going there. Looks like fun. My boys love visits that include seeing animals. Oh this is a lovely places to visit, look at all the cute little piglets! 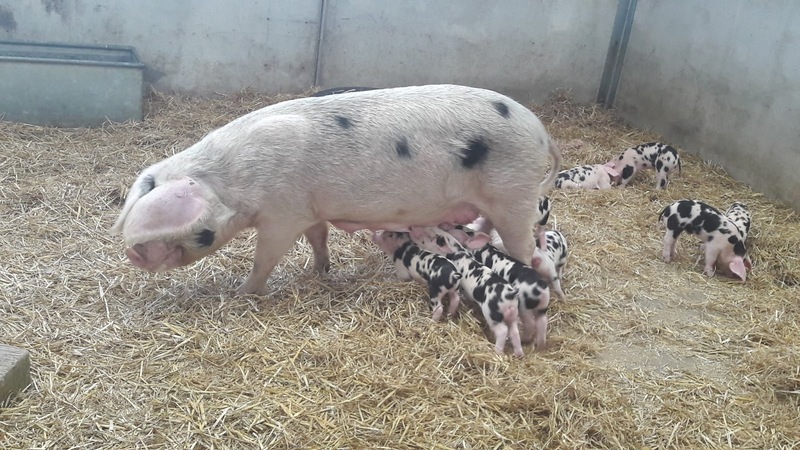 Lovely place and great to see all those piglets. 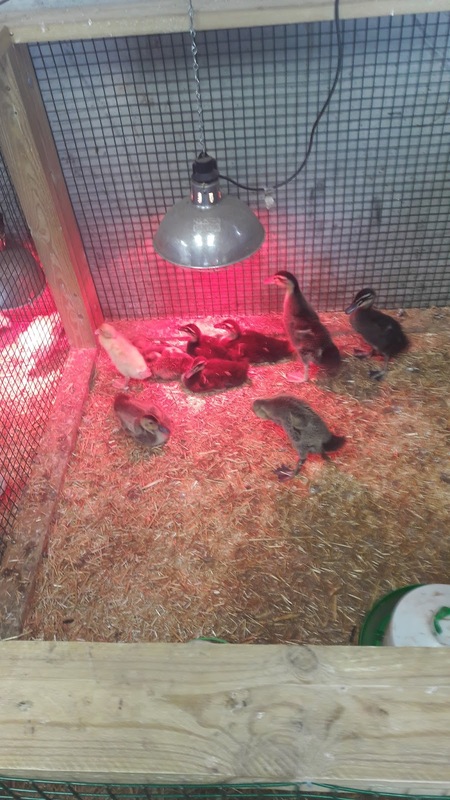 Farms like this are a great way to teach children about animal welfare and husbandry. This looks like such a lovely little day out. We went to a farm in the Easter holidays too to meet the lambs. Sounds like you guys had a great time! My youngest has never been to the farm, so I will be definitely taking her soon.